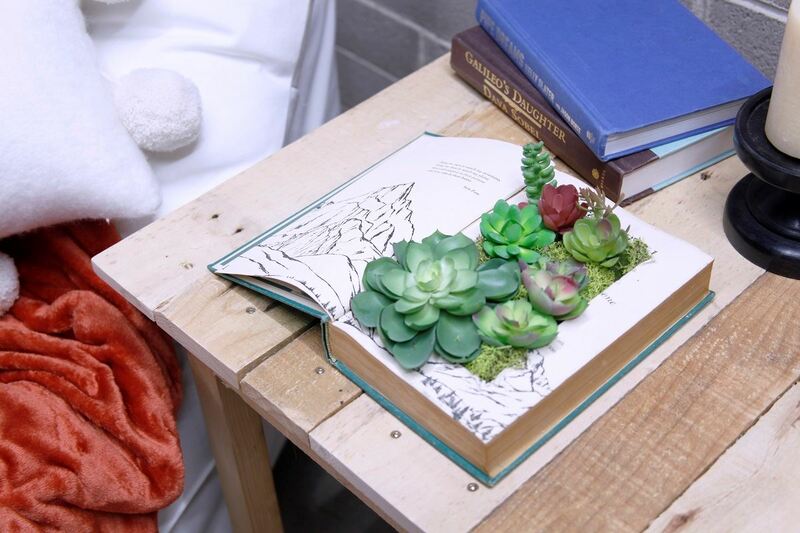 Give your old books new life with a fun and creative spin! 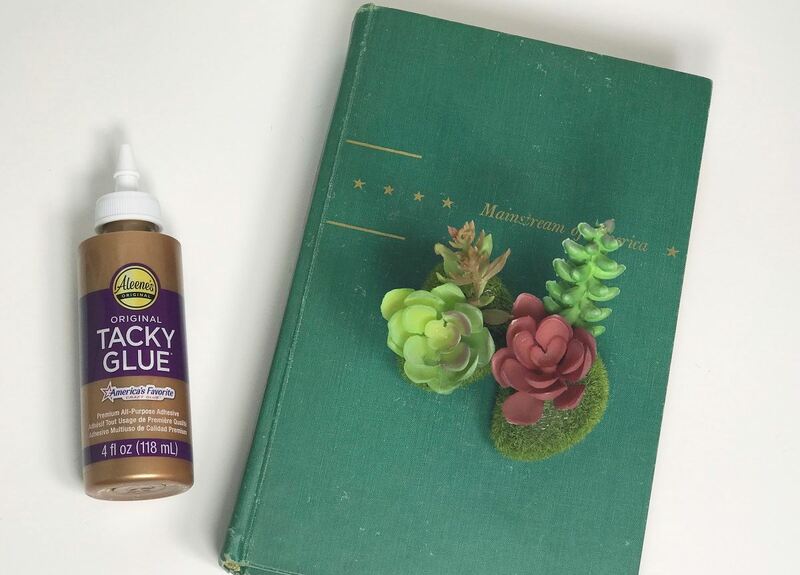 Check out how easy it is to make a chic succulent planter with a little help from Aleene’s® Original Tacky Glue and a few extra supplies. 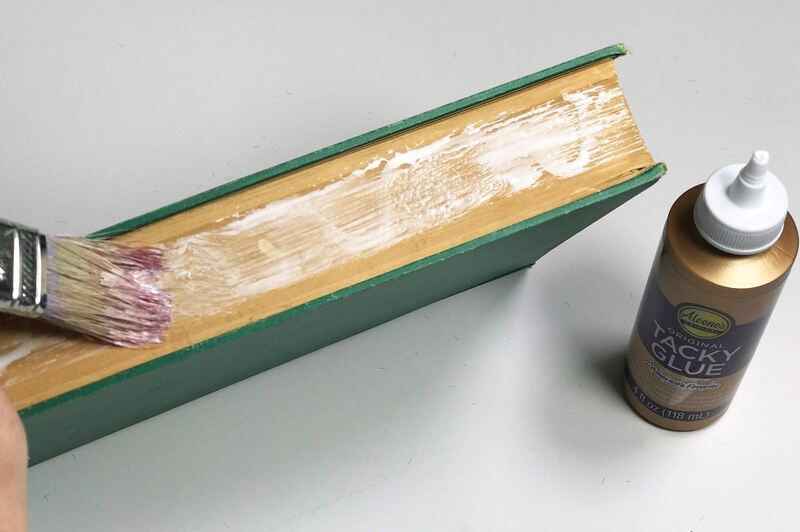 Apply Original Tacky Glue to the inside back cover of the book. 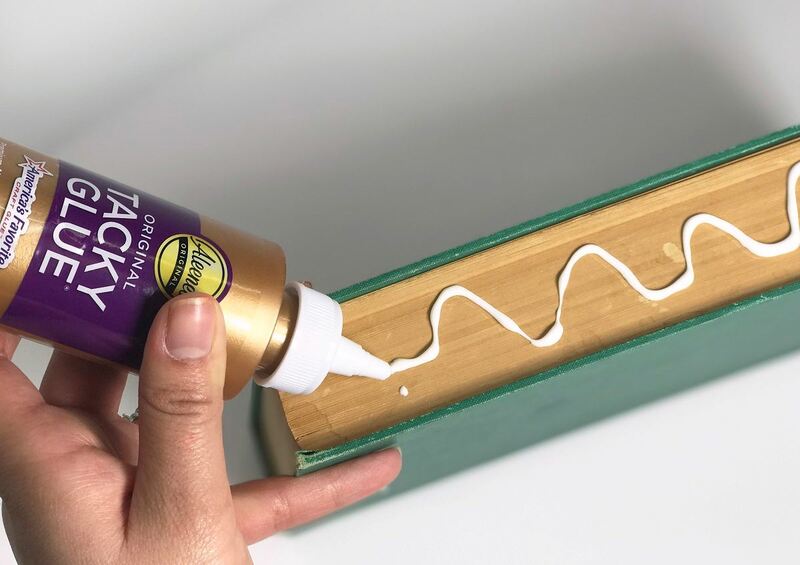 Use a paintbrush to smooth the glue evenly over the entire inside cover. 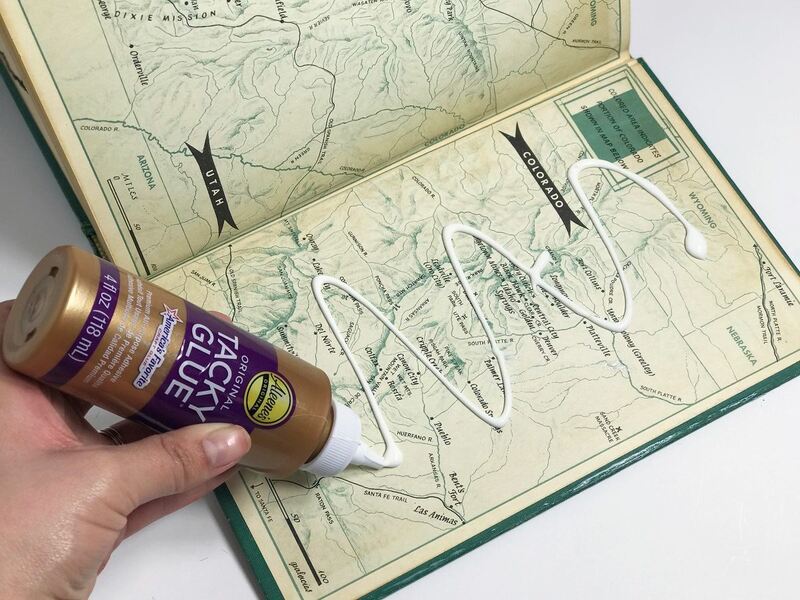 Apply glue over the top, side and bottom of page section. 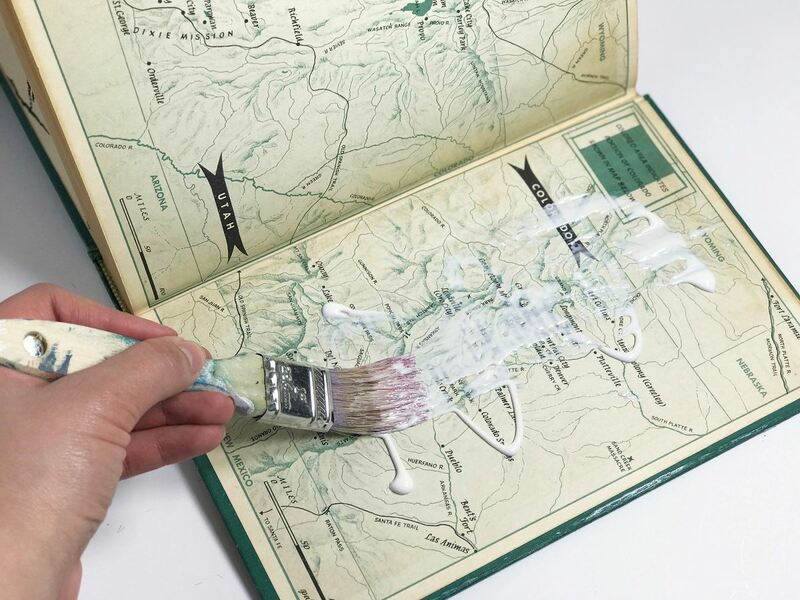 Use the paintbrush to smooth the glue over the pages. 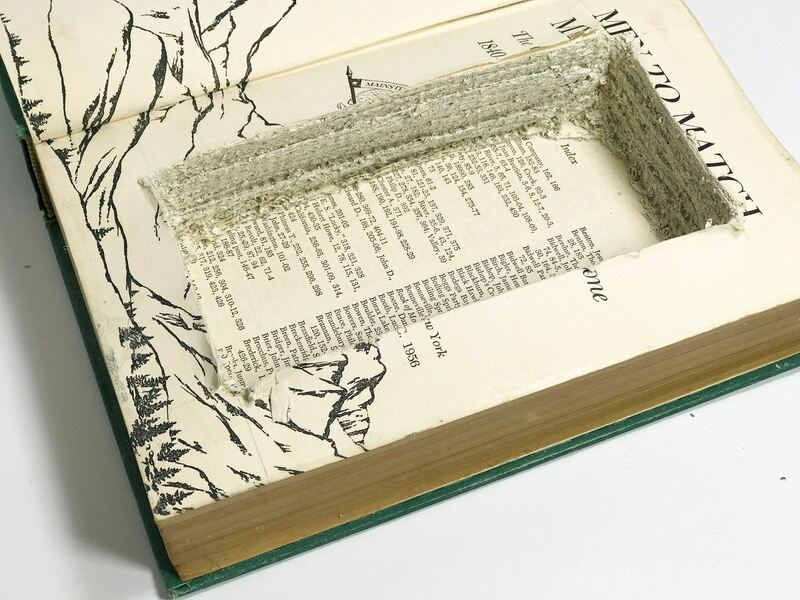 Note: Make sure not to glue the top cover and first few pages of the book because you'll want to be able to open it. Let the book dry overnight, adding weight on top of it while it dries to help keep everything in place. 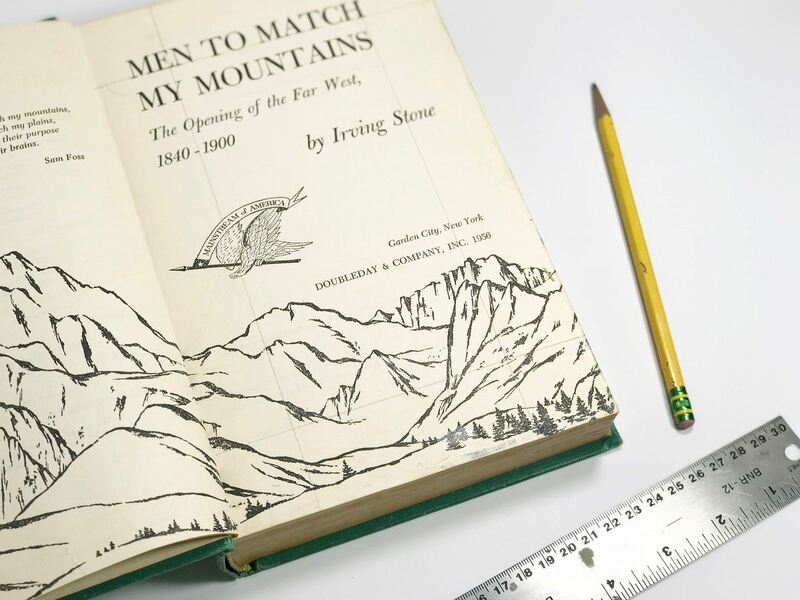 Once it’s dry, open the book and press the loose pages back. 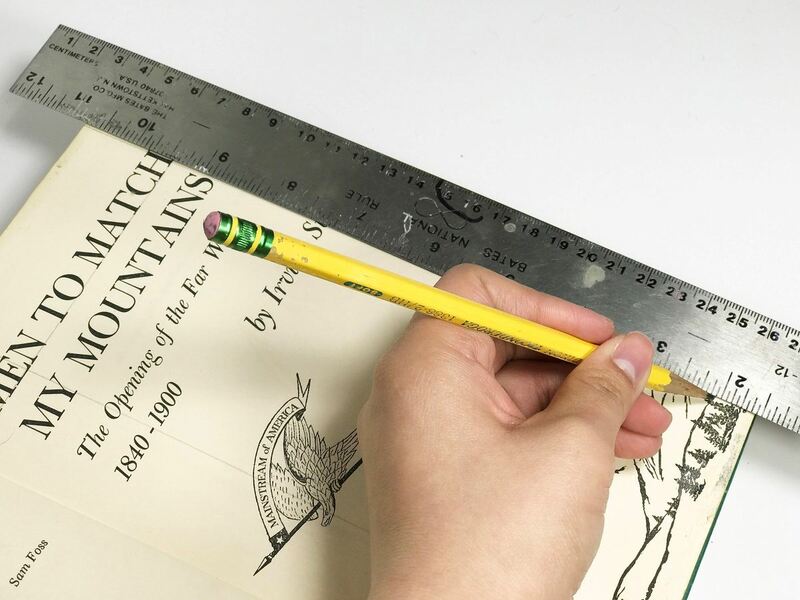 Use the width of the ruler to draw your cutting lines around the top page of the book. 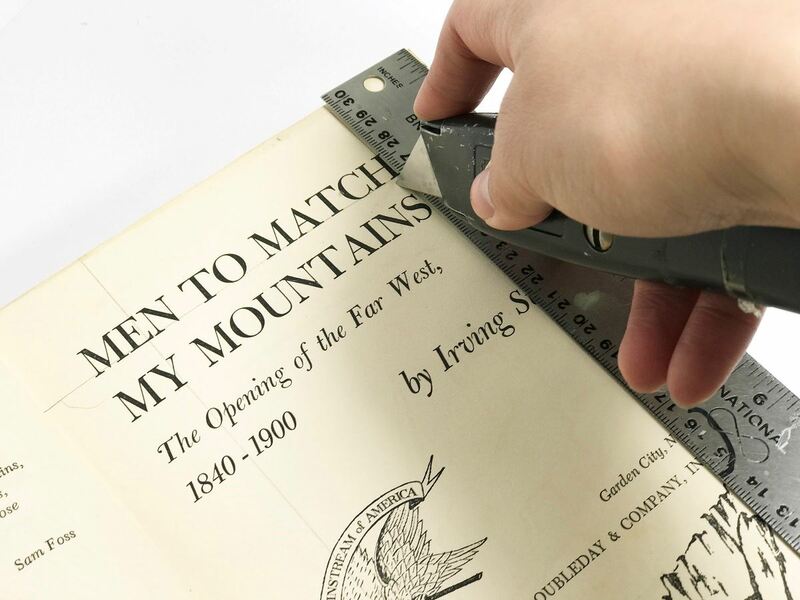 Cut out your marked off section of pages down to the back cover. 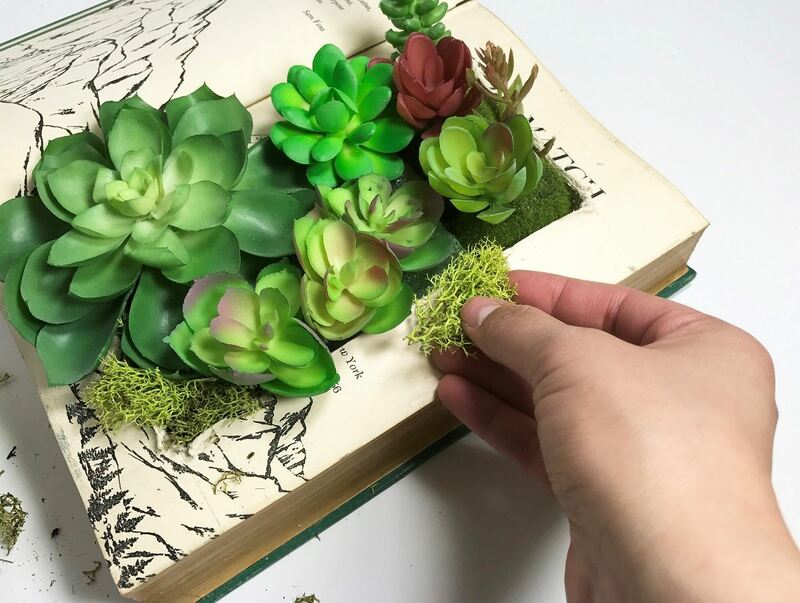 Line the inside of the book with plastic then add flower foam to fit inside the space you've created. 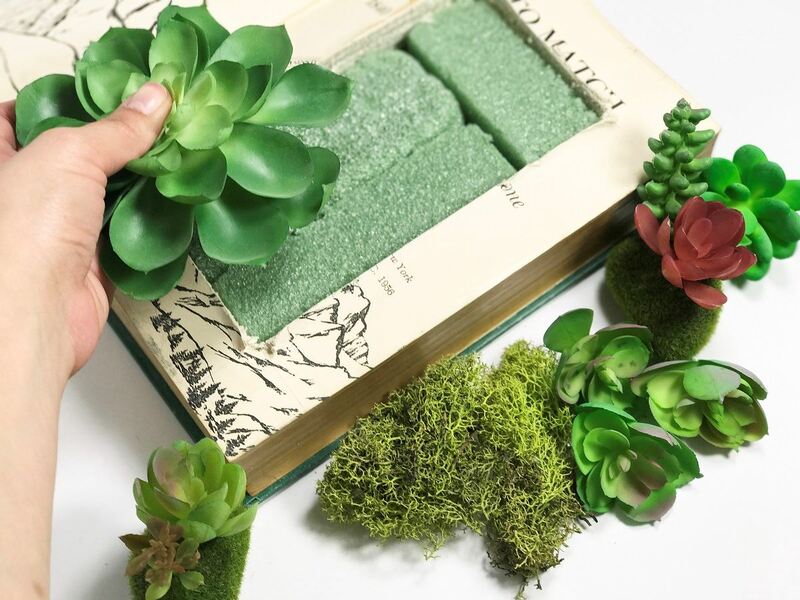 Add succulents and use moss to cover any uncovered sections. 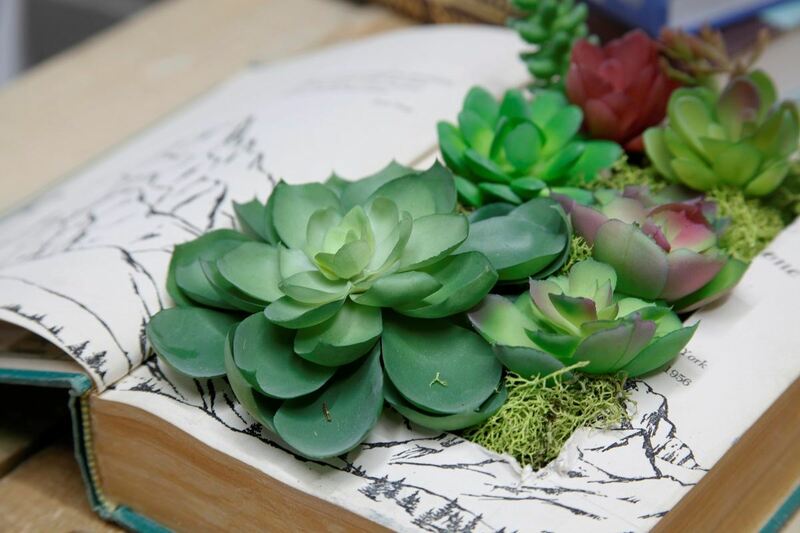 Note: if using faux succulents, you don't need to line the book with plastic. 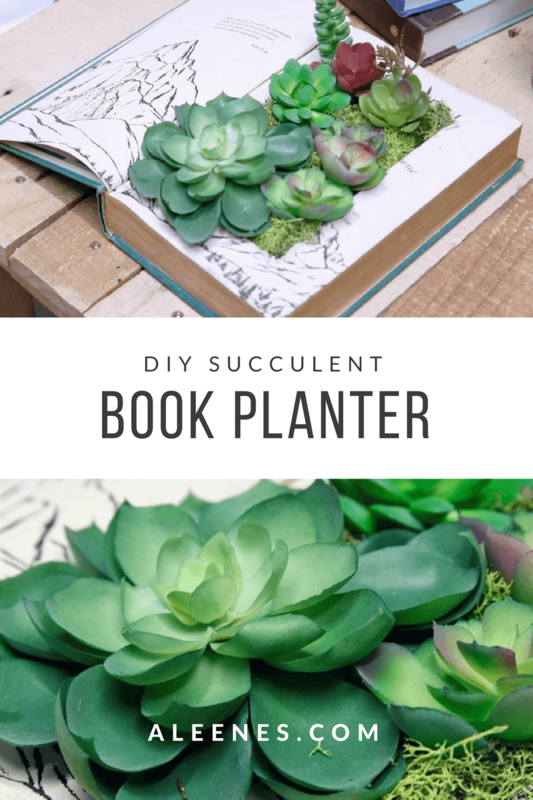 Your planter is now ready to impress anyone who visits your home!